Part of successful waterproofing of your home is correct installation of Weeping Tile. 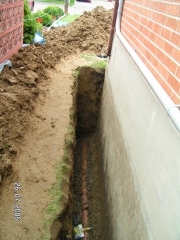 Weeping tile is basically a porous pipe that allows the water to drain into storm sewer or a sump pump. In majority of cases the pipe is made out of plastic with small holes in it. 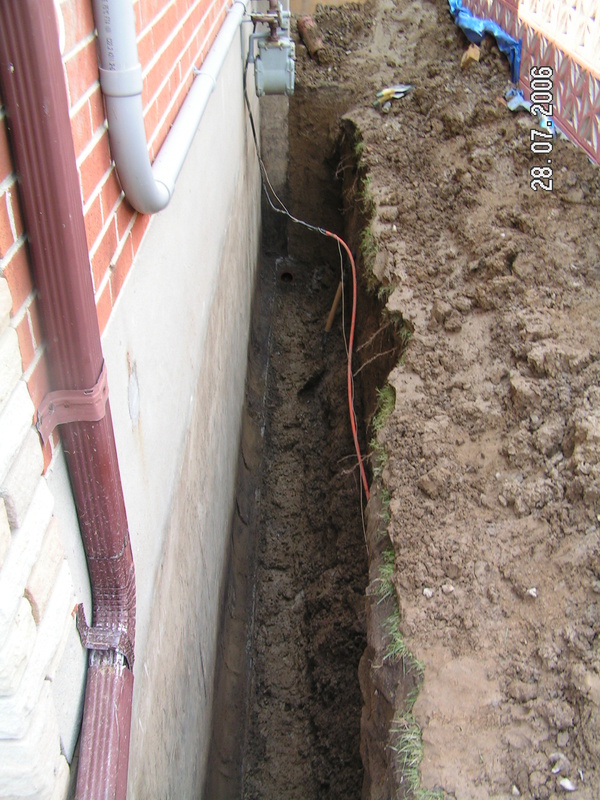 It is very important to install weeping tile correctly, if it is done wrong soil will fall into these holes and weeping tile will stop effectively draining the wetness. As a result mold and dampness will occur. If you would like to receive a free consultation on weeping tile installation at your home give us a call or fill out the form the right. Consider also looking at typical steps we take in order to install weeping tile and waterproof your walls. Step1. 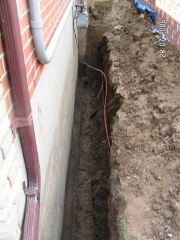 Client called us with a leaking basement problem. We quickly diagnosed the situation and let the client know that leak is happening due to crack in foundation and old clay weeping tile installed on the property. Step2. The next delicate step is to carefully excavate around the whole house and identify the location of old clay weeping tiles. Step3. 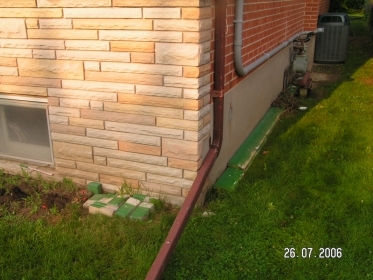 Once we done uncovering all the problematic locations around the house we clean the foundation and remove old clay weeping tile. Step4. 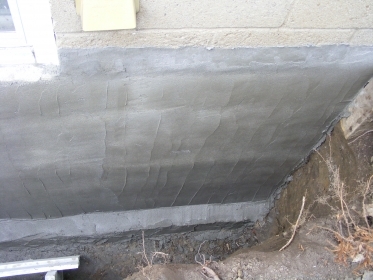 New layer of concrete around the house’s foundation will prevent future cracks that could potentially lead to cracks and mold inside them. Step5. 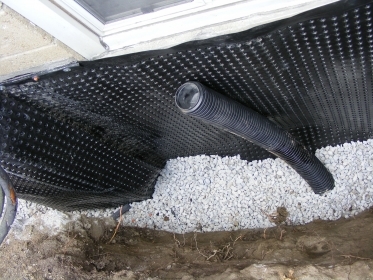 We add new weeping tiles and branch for the window well, for the added security we also membrane and grave on the top of the weeping tile. 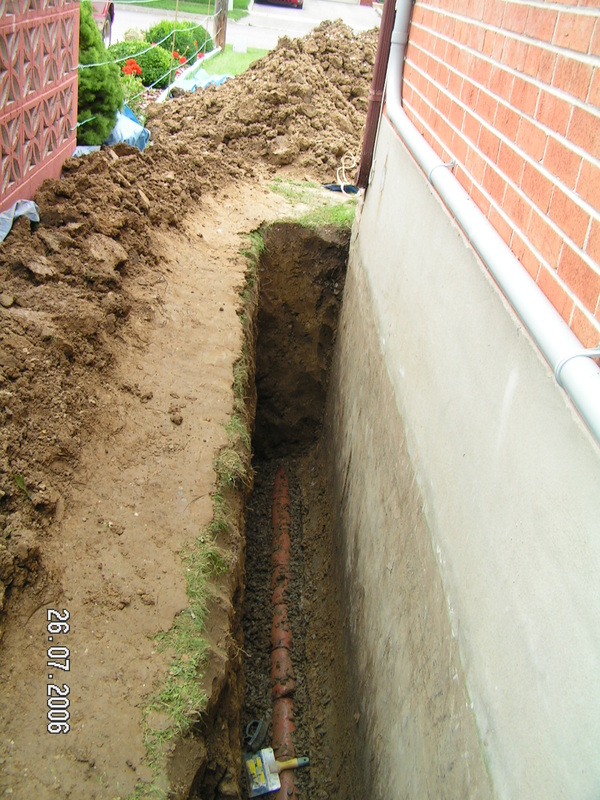 At this stage the basement becomes full waterproof and it is virtually impossible to break the barrier regardless of the amount of the water flow.